While many injuries are dire and have lasting consequences, there are few as challenging, frustrating, or debilitating as brain injuries. 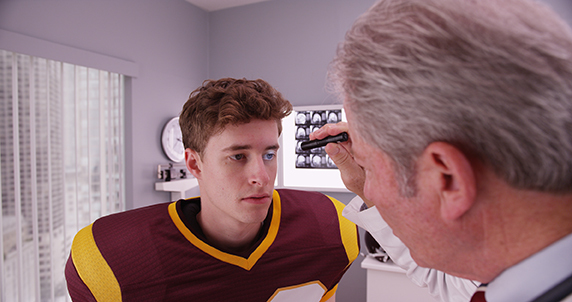 Of course, some head or brain injuries are short-lived, such as a minor concussion. However, more intense head injuries can cause issues like short- or long-term memory loss, permanent brain damage, cognitive damage, and extreme personality changes. No matter the circumstances, a severe brain injury is devastating, but it’s particularly upsetting when another person’s negligence resulted in your injury. If you were the victim of a negligent party, contact a head injury lawyer with Otorowski Morrow and Golden, PLLC. Our Seattle, WA team will pursue your case capably and confidently so you can get the just compensation your injuries warrant. Unlike some physical injuries, like broken limbs, brain or head injuries often have long-lasting consequences. For instance, if you have a broken leg, you’ll have to wear a cast and attend physical therapy, but after six months to a year, the injury should only give you minimal trouble. In contrast, a head or brain injury has side effects that linger for years or even for a lifetime. They can also make you unable to work. Because they last for so long and have such extreme impacts on your life, brain and head injuries can cost you thousands of dollars in health care costs, not to mention in lost wages. You don’t deserve to pay the price for someone else’s actions, though—visit our qualified attorneys to seek compensation so you can pay your medical bills and maintain your quality of life. When you need a brain injury attorney in Seattle, WA, you deserve a professional team of lawyers who can devote themselves entirely to your case. At Otorowski Morrow and Golden, PLLC, our firm is small enough that we can work with you one on one and large enough that we can deal with a host of cases and types of injuries. To get in touch with a head injury lawyer today, call us toll-free at (888) 842.1001. We’ll schedule your consultation and start evaluating your case.